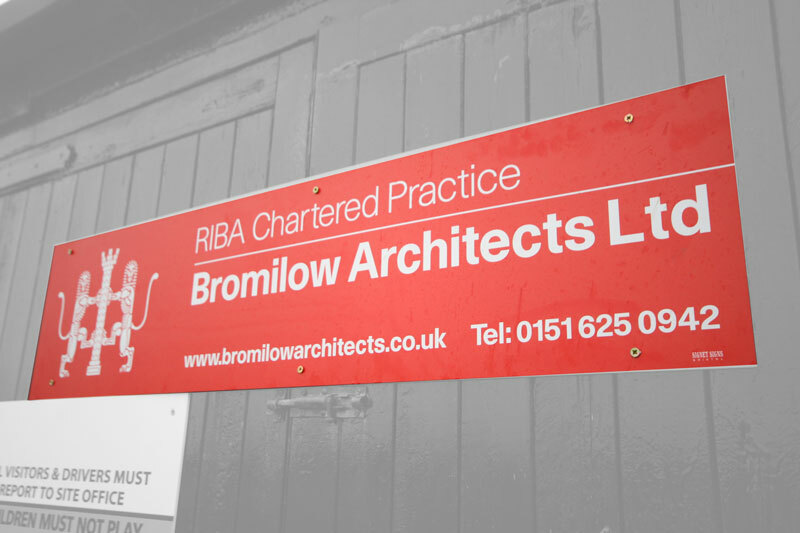 New Build House Wirral - progress | bromilow architects ltd. 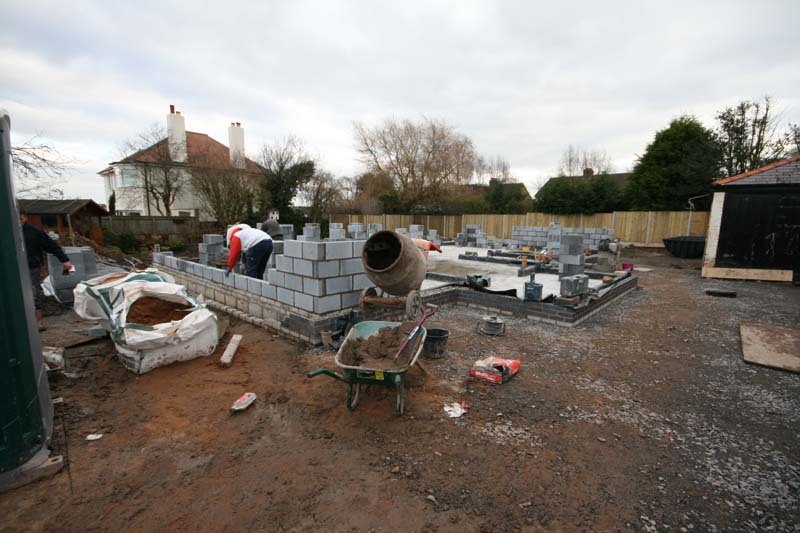 Since the last up date nearly two weeks ago things have progressed quite well and the place is starting to take shape. 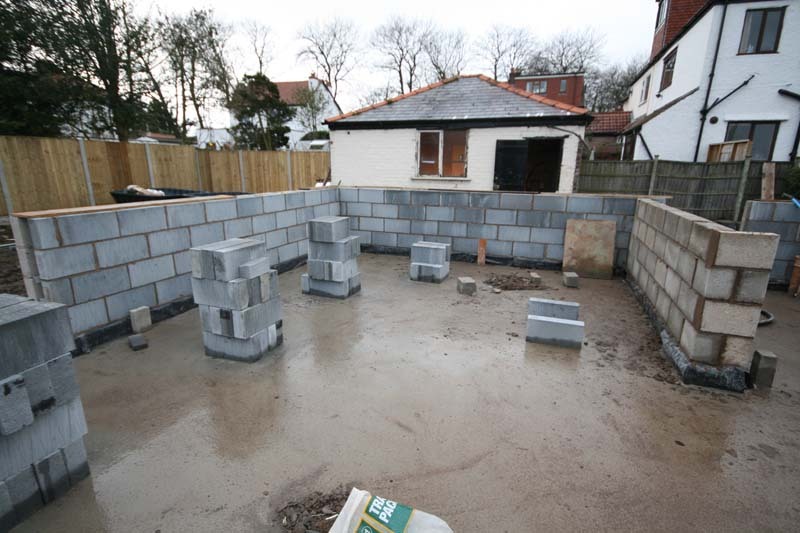 The brick and blockwork was initially built upto dpc level which enabled the concrete floors to be poured. The foul drainage runs have been installed and these have also been passed by the approved inspector. 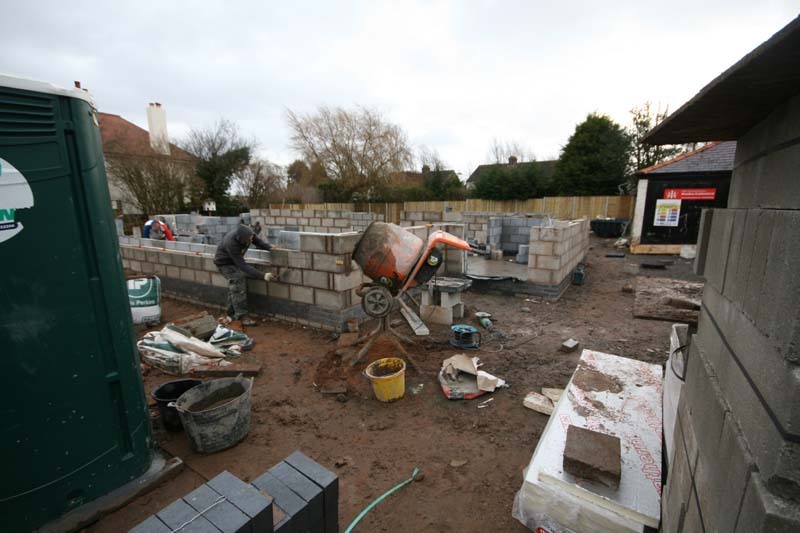 Brick and blockwork has since been built up to about 1200mm above internal floor level and this will continue over the next weeks. 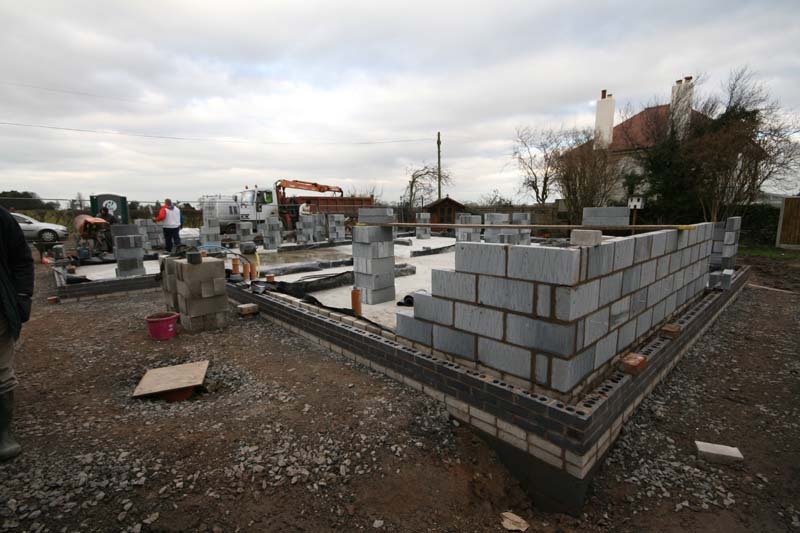 The scaffolding will be next to arrive on site to enable the lifts of brickwork above head height to be progressed. 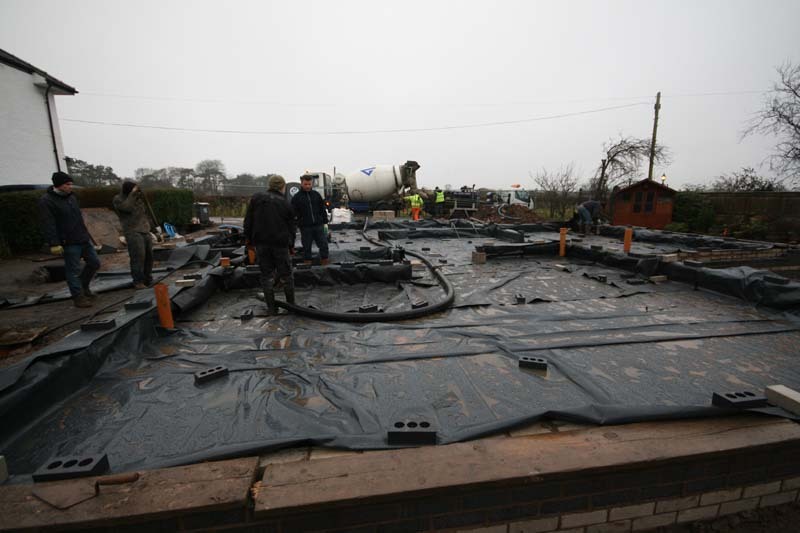 A notable arrival on site has also been the rainwater harvesting tank which is nearly ready for installation. 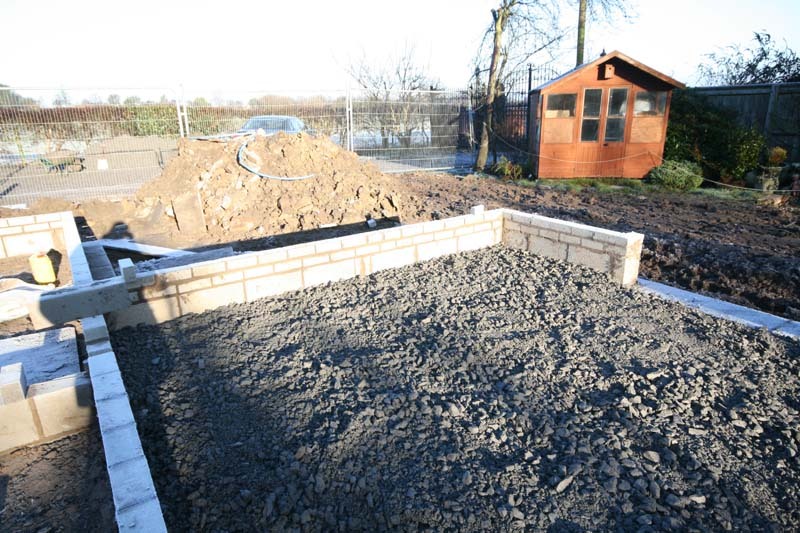 This 3750l tank will be buried under the rear garden. 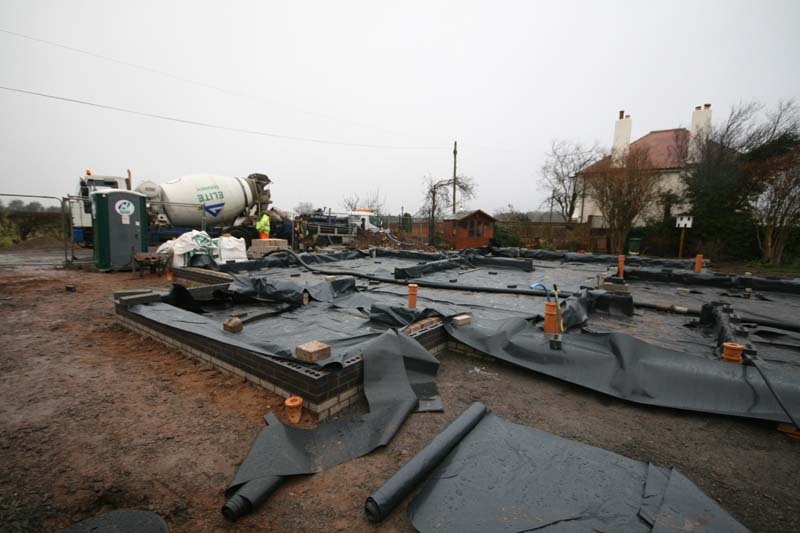 It will collect rainwater from the roof of the property for storage and later use within the house for flushing wc’s, and suplpying the washing machine. 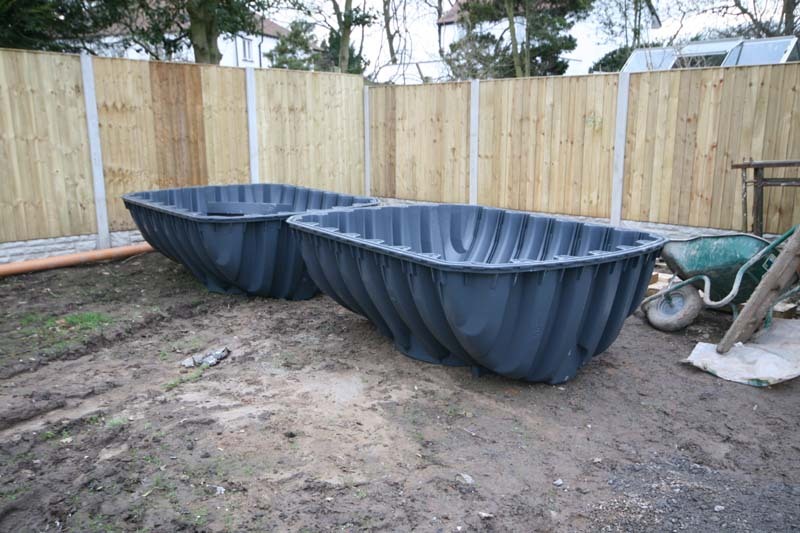 Externally is will provide water for the garden and has been supplied by www.combinedharvesters.com based in Wirral. 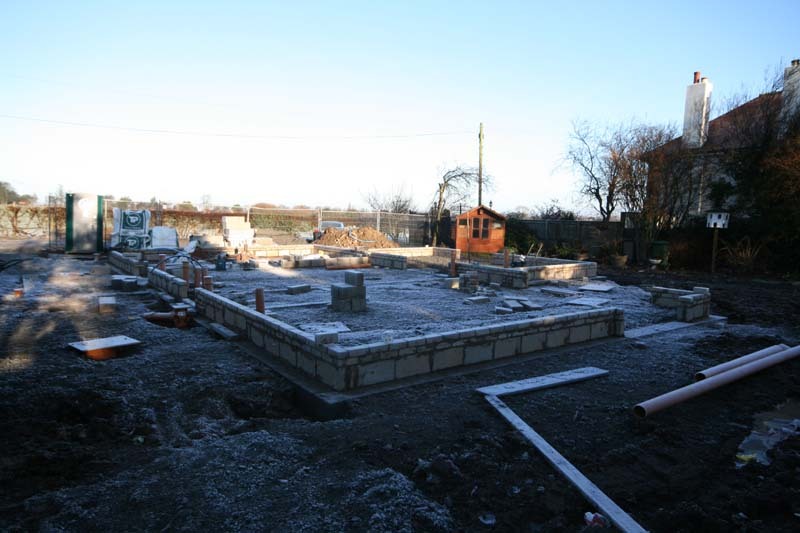 With the progress, one can already start to feel the spaces of the house developing. 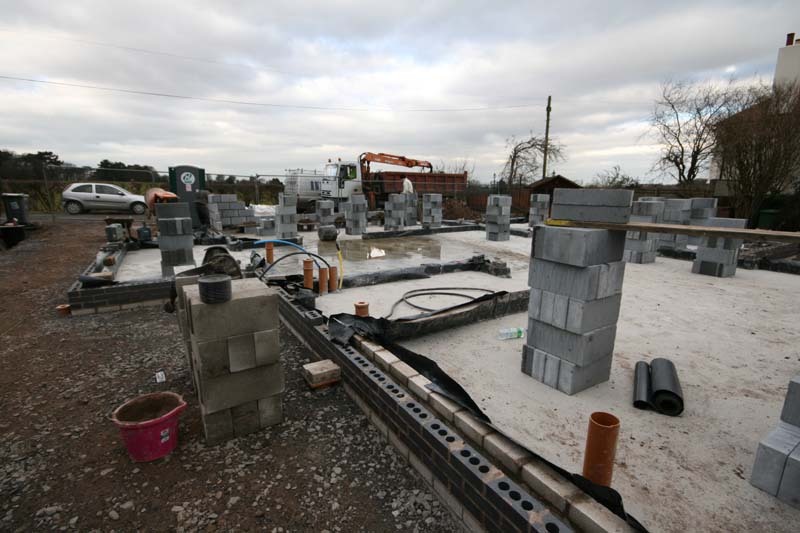 There is a lounge to the front of the dwelling which will have a long glazed element to the front. 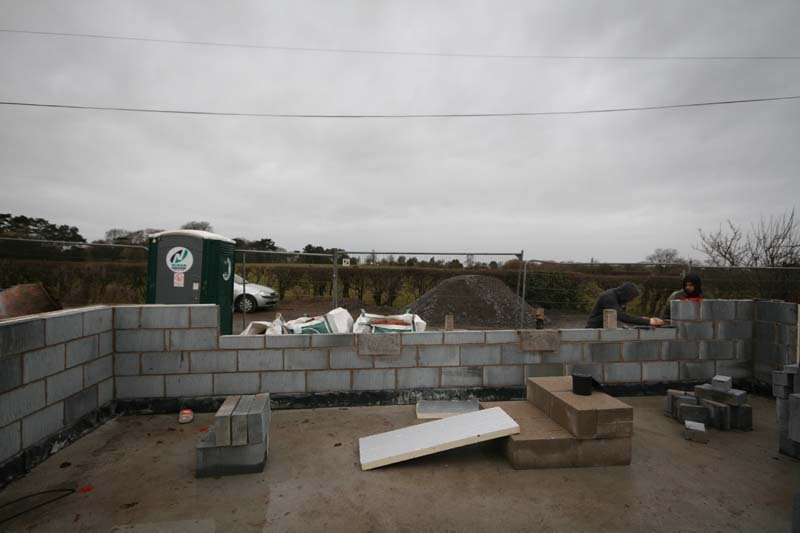 The opening has just started to be formed and you start to get the feeling of what it may be like to sit in there when it is complete and enjoy these fantastic views over the fields beyond. 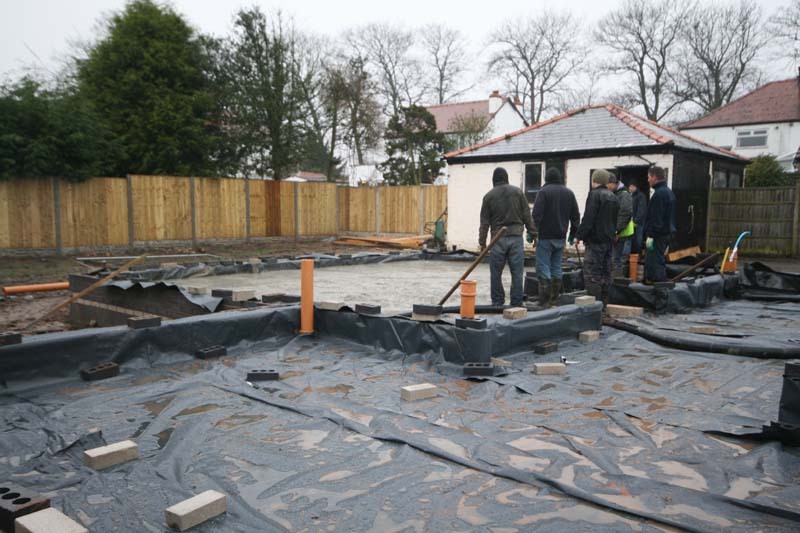 At site visits we walk around the site and look at the workmanship of the construction to date. 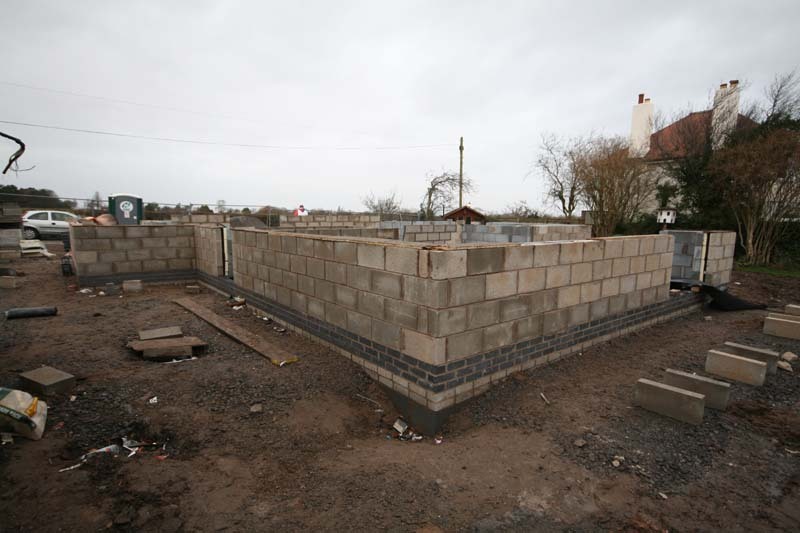 At this stage of the build it is important to start looking at the cavities in the walls going up, to make sure that mortar is not fouling up the cavities. The bricklayers are mainly keeping them clear although a couple of elements were asked to be cleaned up. 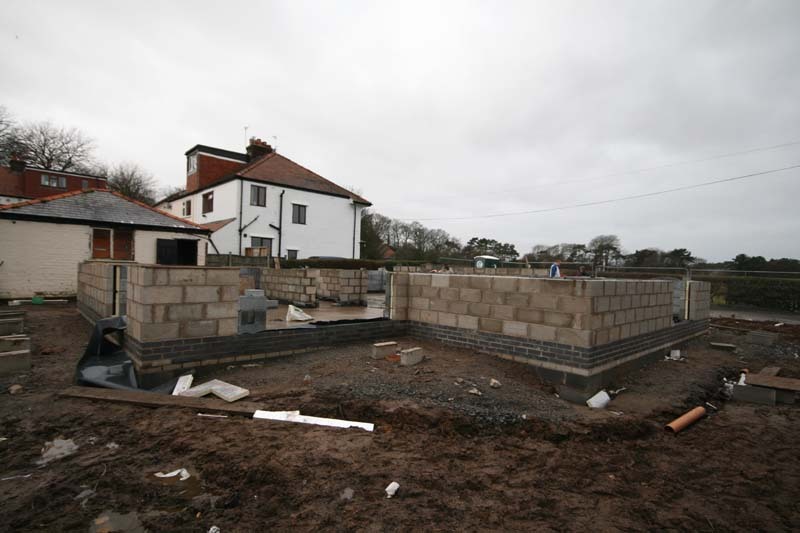 We have made four site visits in the last week or so and the photos attached show the development over this period up until today.